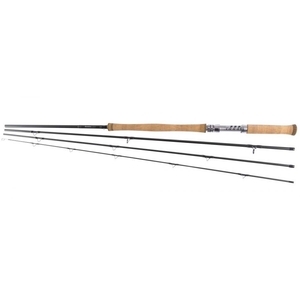 Snowbee 4 Piece Geo Spey Rod - 13ft - #8/9. A new addition to the range for 2015 and a smaller version of the original 14ft model. 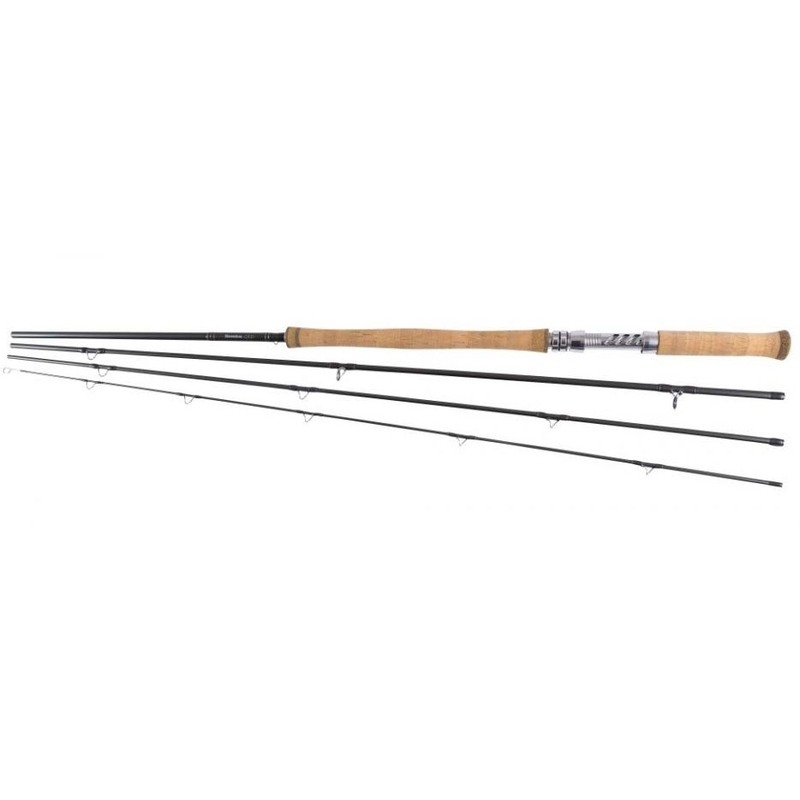 Designed for smaller rivers, where a slightly shorter, lighter rod is an advantage, the 13ft model, still possesses reserves of power, when required. The new 2015 range of Geo Nano Spey rods, offers salmon fishermen the unparalleled performance of ‘Nano Technology’ at a surprisingly affordable price. With effortless elegance, these deceptively light and powerful 4 and 6 piece rods are a dream to cast and hold huge reserves of power, right down through the blank. Catch and play the hardest running fish, in the fastest flows of the world’s great rivers, safe in the knowledge that not only will your Geo Nano handle the largest of fish, but that it won’t let you down at the crucial moment. For the past few years, the big news in fly rod development has been ‘Nano’. However, a number of brands have ‘jumped on the bandwagon’, offering what is purported to be ‘nano technology’ at very low prices. Beware… true Nano Resin Technology does not come cheap and having found the right material supplier, our range of Geo rods really does represent a giant leap forward for the brand, in terms of technological advancement. The carbon fibre ‘pre-preg’ materials utilise the very latest Japanese Nano resin technology, using a unique SiC Reinforced Resin System. The smaller, ‘round profile’ SiC ‘nano’ molecules are able to penetrate every void within the carbon fibre mat, far better than long-chain epoxy resin molecules. This innovative use of Silicon Carbide to reinforce resin, creates a pre-preg material, which has a flexural strength and modulus around 11% stronger than those of typical, standard resin systems, resulting in fly rod blanks that are lighter, crisper and more precise in action than anything previously achievable and a blank as close to ‘unbreakable’ in normal use, as it is possible to achieve. Built to our exacting standards and incorporating our time-proven ‘Tri-Modulus technology’, where various modulus carbon fibres are used throughout the length of the blank, to achieve the exact action required… and this is where we differ from many on the market, as the Geo Nano simply feels so light in the hand and are not ‘poker style’ tournament casters. These are elite fishing rods, built using the very latest design and materials available today, that will extend ones cast new limits with effortless ease as well as importantly ‘play’ your fish, after all the hard work has been done and bring it safely to the net. Fitted with the very latest, lightweight aluminium reel seats from ALPS, with carbon fibre inserts for weight reduction, these high-tech rods really are at the cutting-edge of fly rod development. Nicely finished rod with easy middle to tip action. Very pleased with this rod. Light and powerful and very good finish/fittings. True to weight so don't over-line.